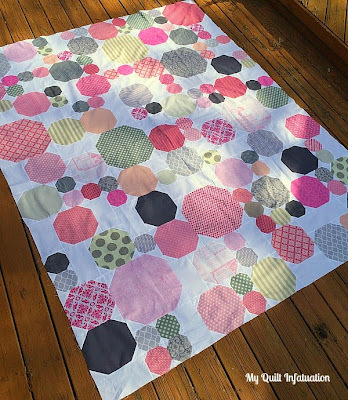 Saved from the Mini Quilt Black Market - Quilter in the Closet. 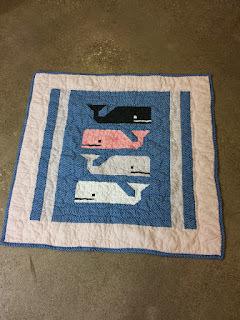 This is the third and final quilt that we did in this pattern from Reunion. 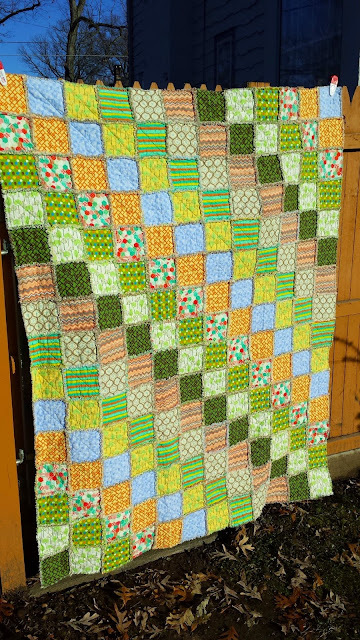 The large border is multi-color jacks. The binding is the same. 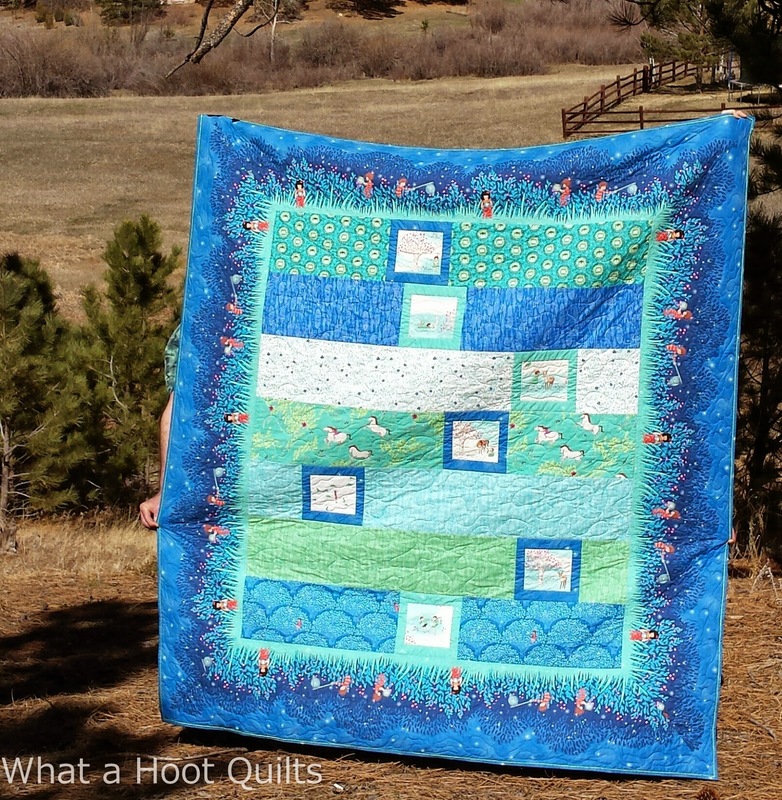 The back of the quilt is off white from Kona. I think this one is my favorite. You would think we would be done with Reunion fabric by now, but we still have quite a bit left. That is what happens when you ending up buying half-yard and yard pieces of many of this line. It is still one of Richard's favorite lines, even if it is several years old. This is a really fun line with clouds, birds, hot air balloons, airplanes, castles, clothes on line, branches and ships. 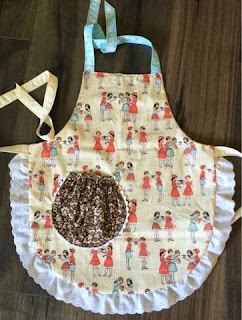 This is made from Peach and Stone from Storybook line by Kate & Birdie for Moda. The back and binding are also peach fabric from same line. We made it out of Wishes by Sweet-water. The back is a confetti print on off white. 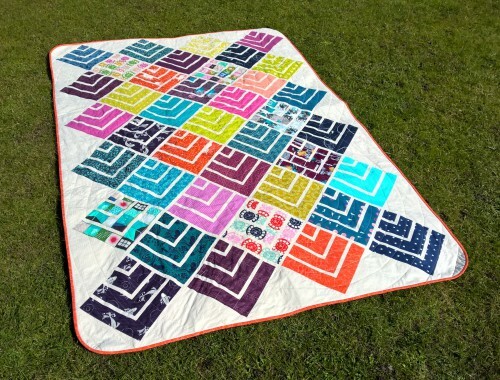 The binding is a multi-color medallion print from Wishes. 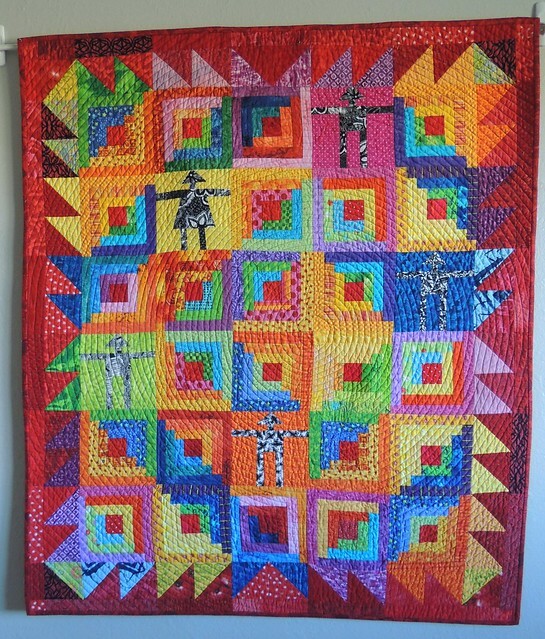 This is made from the leftovers for the quilt Richard made with a co-worker. 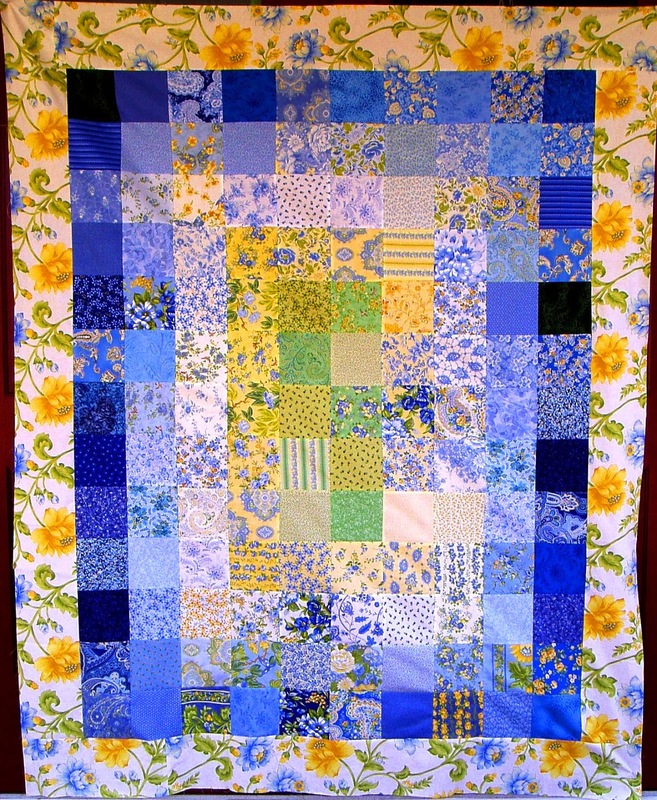 This is one we didn't originally plan a second quilt of, but with the oops and all the fabric cut leftover, we didn't have a choice. It turned out bright and cheery though. Here is a picture with #1 and #2 together. A kid took this picture, don't quite know why. 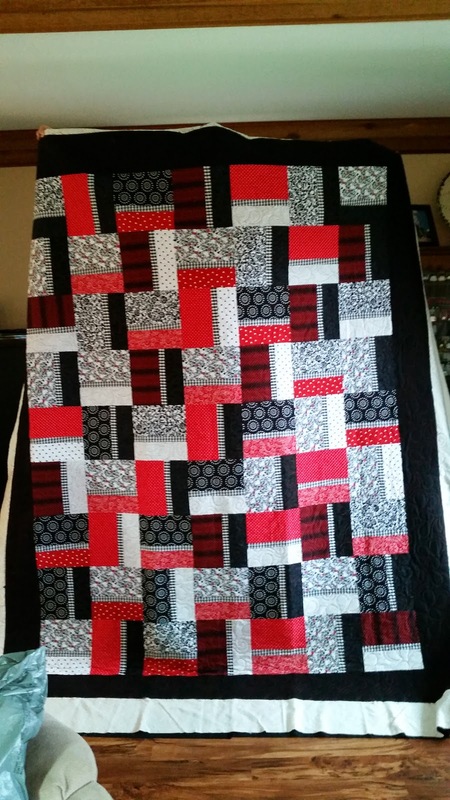 Shown off today is 3 quilt tops made from our Dresden quilts. I am not sure which color group I like best what do you like best? I think my least favorite was the bottom one. It is funny this is just a small dent in the dresden pile I have to work though. 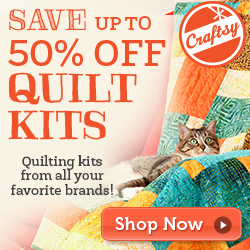 Now to buy batting as I need to quilt a ton of quilts. 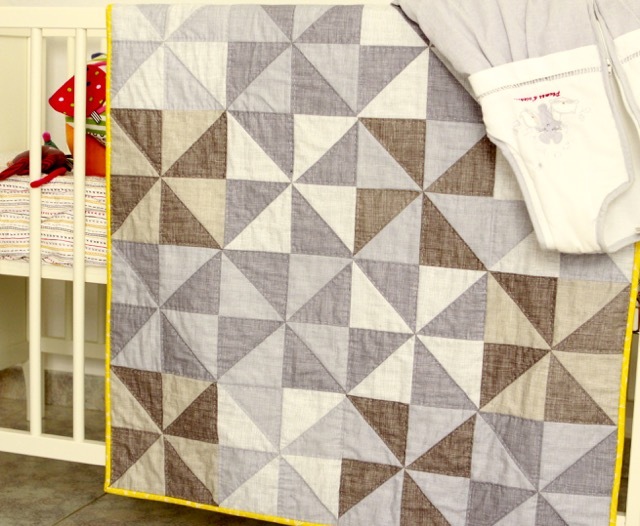 Thank you for visiting Richard and Tanya Quilts for Link A Finish Friday. Here are some of the examples of the great link up's from last week. This is a really fun line with clouds, birds, hot air balloons, airplanes, castles, clothes on line, branches and ships. 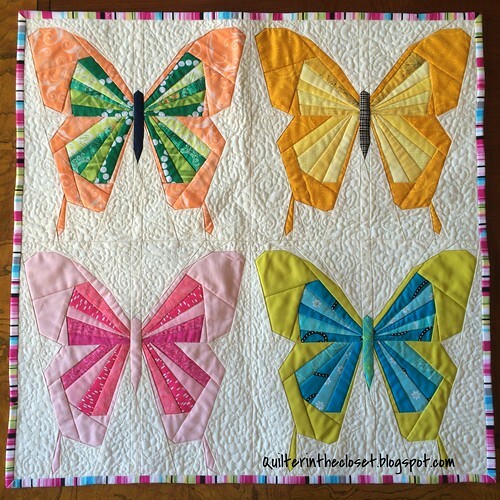 This is made from Yellow and Stone from Storybook line by Kate & Birdie for Moda. The back is a tan colored fabric. It is bound with a yellow from same line. This is the second Dr.Suess quilt we have done. This one we added some solids, turquoise and yellow to tone it down. The back is the letter fabric from the same line. The top was made by Tanya and was quilted and bound by Richard. It is bound with a chevron in turquoise and red chevron. I like this one a lot better than the first, because is a lot less busy. 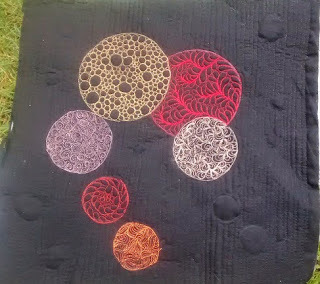 A Small Sample Study - Paper Piecing On Rainy Friday.